Order your The Quitting Time Watch™ is the world's only wrist-worn smoking cessation monitor available. It's time to QUIT on the QT! 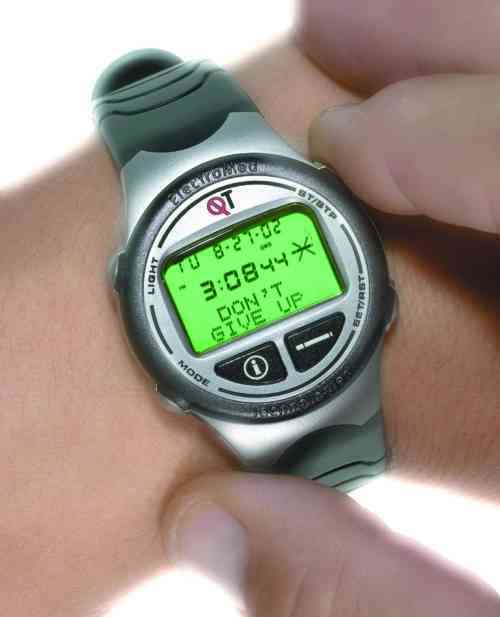 (click on the image to enlarge) Wrist-worn version of the QT-Watch Quitting Time Watch Smoking Cessation System. Need more reasons to buy now? 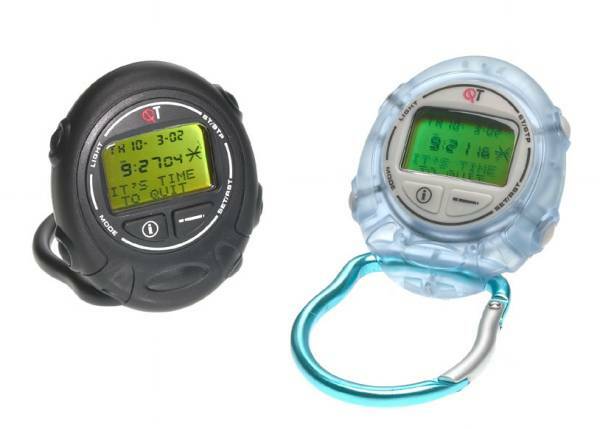 Item Price: $79.99 Key-clip version of the QT-Watch Quitting Time Watch Smoking Cessation System. Clip doubles as a desk stand. Comes complete with User’s Guide and Quick Start Guide. Available in Black and Jelly Blue. Purchase the unlock code for the QTPalm Software for just $4.95! When purchasing through paypal, be sure to provide your 12-Digit serial number in the comments section. The unlock code will be sent to you by email. Right-Click Here and Select Save to Download the QT-PALM Software.